The charming church of St Peter in this tiny village is at least the third on an ancient site. 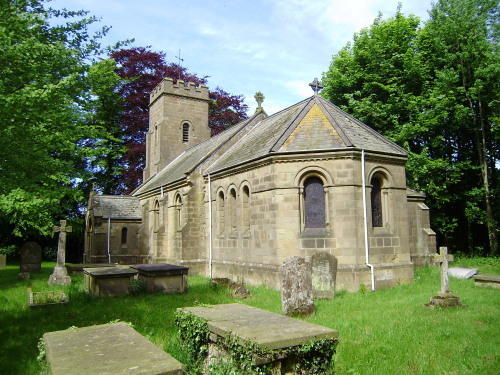 Built around 1888 on the site of the previous one, the church has several interesting features, including a Sanctus Bell engraved with the date 1671, an 11th century stone font, a set of 3 ringable bells and memorials to the local family. The church is not normally open but a key can be obtained from the churchwarden.